Quiz: What Hat Style Should You Rock? Our hat fashion quiz will tell you which hat style suits your personality and sense of style. Not sure which hat to rock? Find out here! In my opinion, one of the most under-utilized accessories is the hat. If you want to take your outfit from good to “wow” (and cover up that bad hair day!) throw on the perfect topper and you are good to go! Not sure which hat style suits you? Just take this fun quiz below to find out what style of hat you should rock! Once you get your answer, find your letter and corresponding result below for an outfit based on your personality type. I started this look with an awesome two-tone baseball cap. Next, I added on a pair of distressed denim skinnies, and a pullover sweatshirt. Tie a plaid button-up around your waist for that casual yet cool ’90s-grunge look. 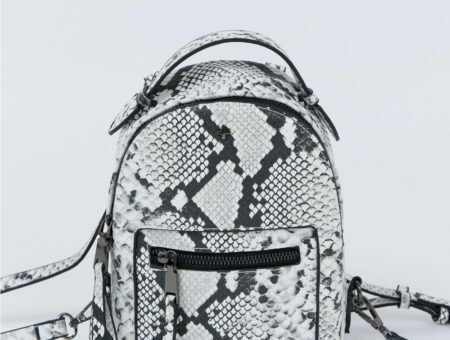 Complete the outfit with some printed high-top sneakers, a backpack, and silver rings. This is the ultimate fall and winter go-to ensemble: great jeans, a fun sweater, and a pair of awesome boots. I added on a chambray top to wear underneath the sweater for an extra layer of depth. 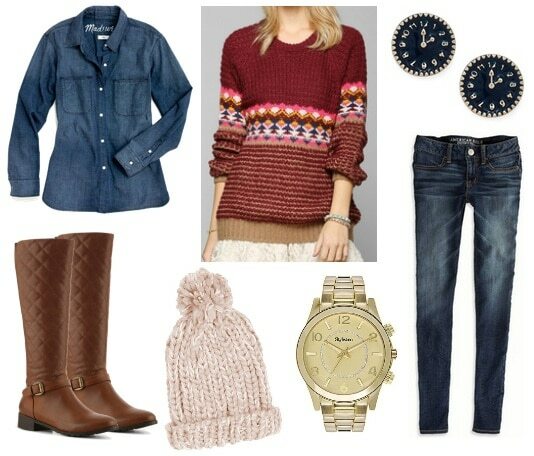 Throw on a cute beanie with a fun pom-pom on top, then accessorize with a gold boyfriend watch and quirky stud earrings. A fedora is a stylish pick because it appeals to both guys and girls. For this outfit, pair a flirty printed dress with a more masculine oxford shoe. A felt fedora, cable-knit cardigan, knitted socks, and a satchel bag complete the look. Statement accessories are your specialty, so the floppy hat is the ideal topper for your style. Pair this oversized floppy hat with a sheath midi dress and faux fur waistcoat. Add on a heeled bootie and cross-body bag, then accessorize with a cool spiked cuff and you’ll be good to go. Do you like wearing hats? Which is your favorite hat style to wear? 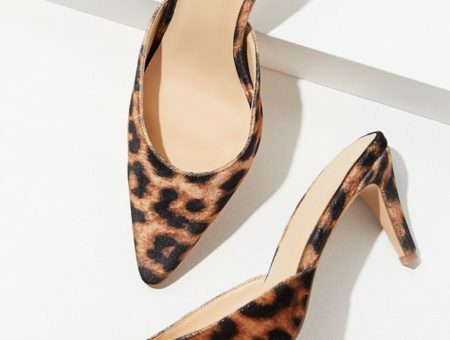 Did the quiz reflect your personal style? Did you like that outfit? Which of these looks is your favorite? Please let us know what you think by leaving a comment below! Previous Would You Wear… Midi Rings? Next Would You Wear… a Puffer Coat?